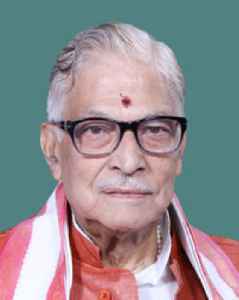 Murli Manohar Joshi is an Indian politician, a leading politician of the Bharatiya Janata Party (BJP) of which he was the President between 1991 and 1993, and the current Member of Parliament for Kanpur. He later became the Union Human Resources Development minister in the National Democratic Alliance government. He is best known for his views on hindu social politics and for his humanistic policies based on integral humanism. Joshi was awarded Padma Vibhushan, the second-highest civilian award, in 2017 by the Government of India.